John Ward has traveled extensively throughout the United States, exploring the country's national parks, forests, and wilderness, particularly in the West. Inspired by Eliot Porter and Ansel Adams and their vision of the American landscape, Ward began taking pictures in Rocky Mountain National Park. The resulting body of work, spanning three decades, is considered to be amongst the most striking in the field. 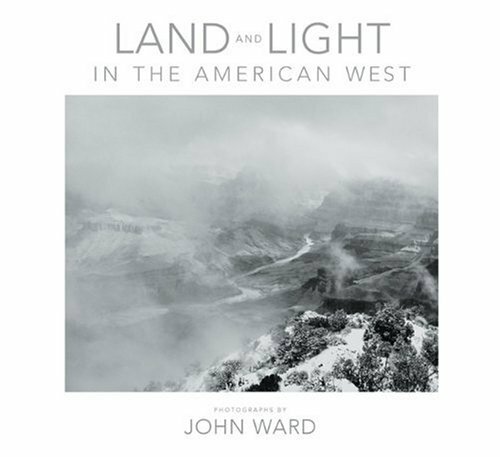 This is the first major collection of master photographer John Ward's gorgeously detailed black-and-white images of the American West. Working exclusively with large-format view cameras, Ward is revered for his technical skills, strong compositional sense, fine detail, and the exceptional quality of his master prints. Ranging in scale from tree bark to the vast emptiness of the desert southwest, the 60 meticulously reproduced black and white duotone photographs in Land and Light in the American West highlight these qualities, providing a visual integration of landscape and ruin, transcendence, and decay, that speak to the powerful forces of nature and culture at work in the West.